With the play table for car seats Play on Me from Hauck, your child won't get bored even on longer journeys. 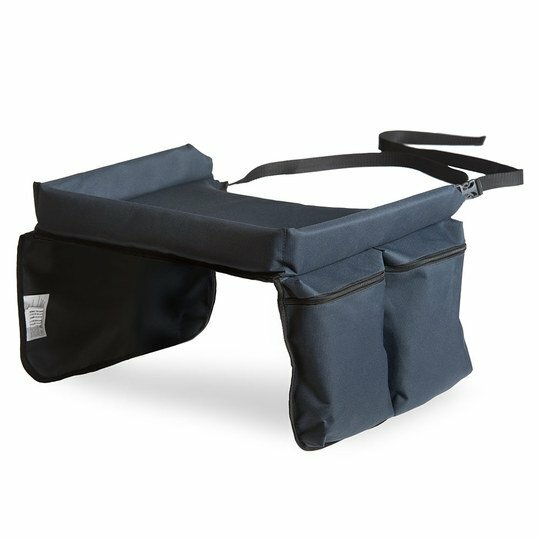 The foldable table is suitable for group I seats and is easily attached to the child and seat with the adjustable belt. Thanks to a soft belly recess, your little one will still be very comfortable. The approx. 40 x 35 cm area offers a lot of space for toys and more. A raised edge prevents the beloved companions of your rider from falling down, providing more peace and quiet on long journeys. On the sides of the upholstered table there are practical pockets that can hold even more things.